Dr. Robert Fletcher is an internist and epidemiologist. He graduated from Wesleyan University in 1962 and Harvard Medical School in 1966 and completed residency training in internal medicine at Stanford Medical Center and Johns Hopkins, where he also earned a Master’s degree in Public Health while a fellow in the Robert Wood Johnson Clinical Scholars Program. Dr. Fletcher has held faculty appointments in Medicine and Epidemiology at McGill, 1973-8, and at the University of North Carolina, Chapel Hill, 1978-90, where he was Director of the Robert Wood Johnson Clinical Scholars Program, Co-Chief of the Division of General Internal Medicine, Co-Director of the International Clinical Epidemiology Network (INCLEN) training center, and founding Co-Editor of Journal of General Internal Medicine. Dr. Fletcher was Editor of Annals of Internal Medicine (with Suzanne Fletcher) and Senior Vice President for Publications of the American College of Physicians from 1990-3. He was active in editing issues as Chair of the Editorial Policy Committee of the World Association of Medical Editors and is on the International Advisory Board of Lancet. From 1994 to 2002 Dr. Fletcher was Professor of Ambulatory Care and Prevention at Harvard Medical School, where he directed the Primary Care Clerkship and the Department’s Teaching Center. Dr. Fletcher now lives in Chapel Hill, NC, where he continues his research as Professor Emeritus at Harvard and teaches at UNC, where he is Adjunct Professor of Epidemiology and Social Medicine. Dr. Fletcher’s research interests have been in clinical epidemiology, cancer prevention, and the effectiveness of journal peer review. Currently, he is studying the effectiveness of colonoscopy for the prevention of colorectal cancer death. He co-directed the Investigator Development Program of the Cancer Research Network (CRN). 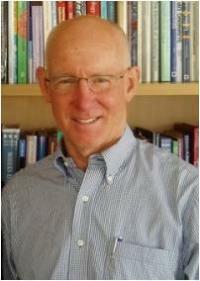 He is senior author of the textbook, Clinical Epidemiology. The Essentials, which is now in its 5th edition and has been translated into several languages. His leadership positions have included President of the Society of General Internal Medicine, Chairman of the Board of INCLEN, and Co-chair of a national panel that prepared evidence-based guidelines for colorectal cancer screening. He co-edits the primary care and general internal medicine section of UpToDate, the electronic library of medicine. Dr. Fletcher has been honored by election to Phi Beta Kappa, Sigma Xi, mastership in the American College of Physicians, Society of Scholars of Johns Hopkins University, the Abraham Lilienfeld Award of the American Public Health Association, and the Glaser Award from the Society of General Internal Medicine.